RV-6 Reverb, Reverb for Guitar from Boss. Second and last new product introduced by the Boss team at Summer NAMM 2015 today is the RV-6 Reverb stompbox. 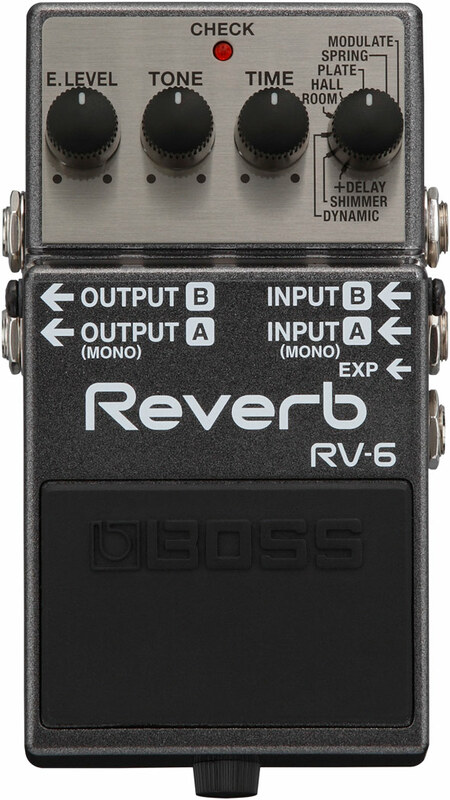 The new Boss RV-6 Reverb is a digital effect pedal that can operate in mono, mono-to-stereo or stereo. It features new reverb algorithms for extended versatility and you can control the effect from an external expression pedal. 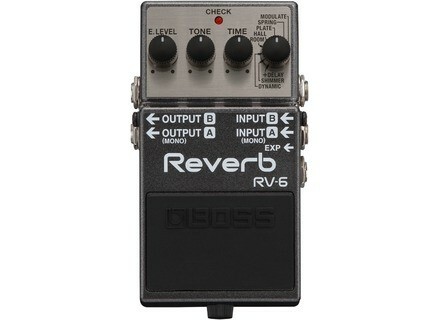 Details of the new Boss RV-6 Reverb are available at www.bossus.com. [NAMM] Boss DD-500 Digital Delay unveiled Boss introduces today at Summer NAMM 2015 in Nashville an improved version of its DD-5 digital delay pedal, the DD-500. [NAMM] Roland celebrates 40 years of Jazz Chorus The Roland Jazz Chorus series of guitar amps has turned 40, and the brand celebrates the event with the new JC-40 that is introduced at Summer NAMM. [NAMM] TC Electronic unveils the BodyRez pedal TC Electronic will showcase at Summer NAMM in Nashville today a new pedal that will enhance the sound of acoustic-electric guitars.